20th Century Fox commits to 4K and HDR for all new films | What Hi-Fi? The future of home entertainment is looking a little brighter with 20th Century Fox making a firm commitment to the latest vision standards. 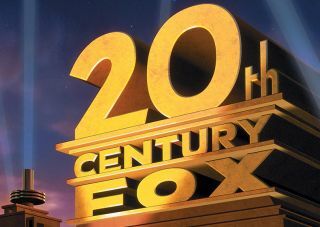 20th Century Fox has announced its future home releases will be available in Ultra High Definition (UHD) and High Dynamic Range (HDR), according to The Hollywood Reporter. The studio will also remaster recent releases, such as The Maze Runner and X-Men: Days of Future Past. Dynamic range is essentially the contrast between the darkest and brightest a TV's picture can be. Theoretically, the higher the dynamic range of the TV, the more realistic the picture will look. It is a boost to overall picture quality, as opposed to the increased resolution that UHD offers. HDR has had support from hardware manufacturers (LG, Sony, Samsung, Panasonic) and streaming services (Netflix, Amazon) but this is the first time we’ve seen a studio make a commitment. It’s a big step forward for the future of home entertainment formats. Ultra HD is on the rise, but so far there has been a crippling lack of content. At this stage it is unclear how Fox’s content will tie in with Dolby’s Dolby Vision HDR format. Meanwhile, the UHD Alliance (a coalition of studios and manufacturers) is working towards an industry-agreed standard for HDR specifications.